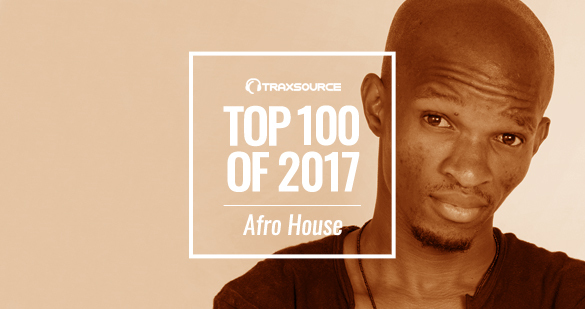 Here at Traxsource, we’re particularly excited to present our annual run-down of the Top Afro House artists for the fifth year running. Whilst we first created a dedicated Afro House genre page at the start of 2013, our support for the sound stretches back over a decade. It’s been incredibly rewarding to help break so many talented artists during this period, and to witness at first hand this tight-knit community develop into the global force it has undoubtedly become in 2017. It’s been a breakout year for Afro House, with the sound cross-pollinating with other house genres as people look for more earthy, tribal rhythms on the floor. With dedicated nights springing up beyond the scene’s traditional heartlands, and artists like Black Coffee securing a main room residency at Ibiza’s hottest new venue Hï, the days of Afro DJs being assigned to the smaller room appear to be over. With a sound derived from the earliest tribal rhythms, Afro House has a warm and mysterious melody that takes you on a journey like no other style of house music. 2018 is going to be a huge year for the scene, but let’s check out the DJs and producers who helped put the sound on the map this year, with our Top 100 Afro Artists of 2017. The Durban-based duo had a truly prolific year with a consistent stream of top quality Afro House releases throughout the year on MoBlack, Vida and Arrecha Records. Their stunningly haunting ‘Just Call Me’ saw huge support from the likes of David Morales, Carlos Mena, and Hector Romero, whilst their work with Sobek on ‘Sakara’ produced one of the most memorable moments in Afro House during 2017. Greek DJ and producer Christos Fourkis had a stellar 12 months on the Afro House scene with a wide variety of releases on House of Stone, Re:Vibe Music, King Street Sounds and Nite Groove to name just a few. Big tracks in 2017 included the hypnotic drum-athon of ‘Afro Sensations’ with Mike Ltrs, his remix of Stones & Bones’ ‘Be There’ and his rhythmical jungle re-rub of Pietro Nicosia’s ‘Time Passing’. Global Diplomacy label boss N’Dinga Gaba enjoyed a fantastic 2017 with a string of big releases on Quantize Recordings, We Go Deep, Yoruba and Papa Records alongside his own imprint. Highlights included his amazingly smooth remix of Addvibe and Tamba Benoit’s ‘Sada’ and his work alongside Josh Milan and Jaidene Veda on ‘Beautiful’. Keinemusik’s &ME is a name that needs no introduction to true aficionados of house music. With a range of styles and influences, &ME’s music crosses many genres of dance music, but within the Afro sound his key release ‘Avalon’ was one of the tracks of 2017, with support from the likes of Chus & Ceballos, Giom, Roger Sanchez, Sonny Fodera and more. A truly unique talent. Los Angeles producer Jose Marquez enjoyed a fantastic year with a string of big releases on Fania, Tribe Records and Local Talk. Standout moments included his sublime 6-track remix project ‘Hammock House: Santiago Sessions’ on Fania, the guitar-led goodness of ’Malia Blues’ and his delicious re-rub of Kiko Navarro’s ‘Isao’. Every major house music DJ had a David Mayer joint in their box in 2017, with a slew of consistent genre crossing releases on the likes of Connected Frontline, Offering Recordings, Get Physical and RISE Music. Afro-beat standouts for us included ‘Drained’ featuring Sooma and his outstanding remixes of Floyd Lavine’s ‘Masala’, Tigerskin’s ‘Lust’ and Boddhi Satva’s ‘Love Will’. Hungarian DJ and producer Sobek came correct in 2017, with his deep, hypnotic take on the Afro House sound really making his productions stand out from the crowd. With a string of big releases on esteemed labels like Constant Circle, MoBlack Records and Vida Records, standout moments included ‘Sakara’, ‘Bonjour L’Afrique’ and his stunning remix of ‘King’ by Mabiisi. We’re looking forward to what Sobek has in store for us in 2018. Tribe Records boss Zepherin Saint brought earthy, soulful vibes to the Afro House scene in 2017 with a slew of heavy tracks on his own label, plus releases on Rhemi and Reel People Music. Major standout moments included the energetic vibes of ‘One Sound’, the sumptuous vocal goodness of ‘Hurry’ and his recent remix of Alex Finkin’s ‘I’m Leaving’. A big year from a big player in the game. Veteran Italian producer M. Caporale hit the ground running this year with ‘Kiss We, Pt. 1’ alongside MoBlack and continued to purvey exemplary Afro-inspired beats throughout the year. Other big tracks included the deep rumbling jazziness of ‘Colors’ with Pietro Nicosia and his re-rub of the huge ’Saba Bo’ by Max Doblhoff and Idd Aziz. Offering Recordings boss Boddhi Satva enjoyed a superb year with his unique take on the Afro sound still as vibrant as ever. Big releases included ‘Love Will’ and ‘Zid Lmel’, plus his sumptuous remix of Milez and ZE3’s ‘Notice You’ which made all the right moves across the world’s dancefloors during the last 12 months. Spanish producer Kiko Navarro has been at the top of his craft for over two decades and showed no sign of slowing down this year. His amazing album ‘Everything Happens For A Reason’ was one of the best house music long players of the year, plus with further sublime tracks likes ‘Los Siento’ and ‘Right On’ gaining support from the likes of Terry Hunter, Dario D’Attis, Karizma and Mousse T, it’s easy to see how Kiko makes our Top Ten Afro Artists of 2017. South African native Floyd Lavine really spread his wings in 2017, with a host of key releases on RISE Music, the label he runs with Hyenah, and the likes of MoBlack Records and Connected Frontline, plus a residency at the RISE Afro party at Watergate in Berlin. Floyd bagged the year’s #1 Afro House track with ‘Masala’, whilst other highlights included his remix of Aaaron & Deckert’s ‘L.D.O.E.’ and the superb re-rub of Max Doblhoff’s ‘Saba Bo’. One of the world’s most respected DJs, Dixon blended his own style of Berlin beats with Afro sensibilities to create some of the most sumptuous sounds around. The Innervisions label boss had huge success on the imprint with his re-work of Manoo’s ‘Toukan’, whilst his re-rubs of King Britt’s ‘Uzoamaka’ and Auntie Flo’s ‘Waiting for a Woman’ saw the German tastemaker find the ears of a whole new audience this year. The name MoBlack is synonymous with top quality house music, whether as a producer or a label! His imprint cemented its reputation as the leader of the Afro House scene by firing out countless epic productions throughout 2017, whilst his own output included the likes of ‘Gafara’ with Moon Rocket and the sublime remix of Girls of the Internet’s ‘When U Go’ on Classic Music Company. We’re expecting more big things in 2018, including MoBlack’s debut at the Defected Croatia Festival. Veteran New York producer Doug Gomez celebrated launching his own Merecumbe Recordings label this year with a slew of releases that turned the dancefloor upside down. His more soulful take on the Afro-centric sound really paid off with big remixes on his own label like ‘Tilted Love’ by Those Boys and ‘Sugar’ by Jimmy Clanfield, plus his stunning re-work of N’Dinga Gaba’s ‘Beautiful’ on Global Diplomacy. The King of the Afro House scene, Black Coffee took the sound straight to the mecca of house music with his brand new weekly residency at Hï Ibiza. With guests as eclectic as Henrik Schwarz, &ME, Black Motion, Larry Heard, Culoe de Song and Carl Craig, it was his peak time main room set that turned the club upside down every week and opened up the sound to a whole new set of adoring fans. Meanwhile, ‘Reflections’ – his contemplative collaboration with DJ Merlon and Khaya Mthethwahe – was a further demonstration of how this Afro House champion is always leading from the front. One of the most popular remixers and producers on the Afro House scene, Manoo continued to win the hearts and minds of dancefloors across the globe with his rhythmic mastery. With huge releases on Innervisions, Ocha Records, King Street Sounds and Future Vision, standout tracks included his amazing remix of Stone and Bones feat. Toshi ‘Amahloni’ on MoBlack Records and his re-rub of MA/JI’s ‘Unchain’ on Djoon Experience. Manoo is always on point. A producer who needs no introduction to any Afro House connoisseur, Pablo Fierro enjoyed a prolific year both at the desk and in the booth. The Spaniard fired out big releases throughout 2017, with his huge remix of Floyd Lavine’s ‘Masala’ the biggest-selling Afro House track of the last 12 months, whilst ‘La Palma’ on Dixon’s Innervisions imprint was another standout in a year to remember for the talented producer and musician. Another sterling 12 months from last year’s number 1 Afro artist Hyenah. With a monthly Afro-centric residency at Watergate in Berlin and his label RISE Music -established with fellow heavy hitter Floyd Lavine – going from strength to strength, Hyenah crushed 2017 with big releases like ‘You Made Me Who I Am’, ‘Phases’ on Jimpster’s Freerange and his brilliant re-working of Afro Warriors ‘Uyankenteza’ featuring Toshi. Outstanding. What a year Siphiwe Mkhize aka Enoo Napa had in 2017. With a slew of original releases on MoBlack Records, Bae Electronica, Aluku Records, Sunclock, Tribe Records, Open Bar and Offering Records, Enoo has been without question one of the most consistent Afro House producers of the year. The self-taught producer from the township of Umlazi, Durban in KwaZulu Natal started his production career in 2013. His seemingly innate talent quickly became apparent to our dedicated Afro House team, who threw their full support behind his early releases, and the rest is history. Now recognised as one of the most prolific young house music producers in South Africa, this year saw a stellar remixing schedule of C Minor ‘Behind the Clouds’ on MoBlack Records, Afro Warriors ‘Uyankenteza’ on Tribe Records, the massive re-rub of Black Coffee & DJ Merlon’s ‘Reflections’, plus his stunning reinterpretation of Pablo Fierro’s ‘Guanile’. Alongside all these remix projects was a huge catalogue of original material like ‘Glitch’ on MoBlack Records, the delectably deep ‘Deliverance’ on Lilac Jeans Records and the deliciously dark ‘Pluto’s Calling’ on Aluku Records. Signing as an artist to Black Coffee’s Soulistic Music in May 2017 was also a huge step forward for Enoo, which saw the new superstar of Afro House pick up repeat shows at Hï Ibiza throughout the summer alongside his mentor. A name that simply couldn’t be ignored this year, it’s with great pleasure that we proclaim Enoo Napa as our Number One Afro Artist of 2017.